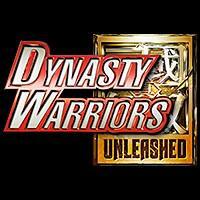 A mobile adaptation of the long-running Dynasty Warriors series based on the setting, events, and cast of Romance of the Three Kingdoms . The sprawling and dynamic Musou gameplay for which the franchise is famous has been scaled down and streamlined to work on mobile - levels are much shorter and simpler and generally have you taking a linear path to fight through waves of mooks until a boss appears. Controls are similarly streamlined - rather than tasking you with alternating strong and weak attacks to execute various combos, you just hold down an attack button and your selected character will take care of that for you. There are also separate buttons for special attacks on cooldowns. You can switch between characters at any time, and this is encouraged by an elemental rock-paper-scissors system where playable characters and non-mook enemies all have an assigned element. Overall, I’m left sharing this writer’s frustration with the wasted opportunity here. I would have been happy paying a lump sum up front for a complete and well-designed Dynasty Warriors experience on my phone, and the core gameplay shows they could have delivered that. Instead we get this garbage fire of multilayered dice-rolling microtransactions designed to drain player’s wallets instead of providing an experience worth paying for. I Stopped Playing When: After enjoying a couple of missions, I started to glimpse how complicated and pervasive the microtransactions were. Typical for a game monetized this way, it was clear that I could have proceeded for a while without feeling much squeeze. But that was obviously a trap and the more I engaged the worse it would feel to quit later. So I put it down after only half an hour or so.